Created by popular demand, these pickups feature the same twin coil design as Seymour Duncan's Hot Rails, but with clearer, brighter and more dynamic tone. 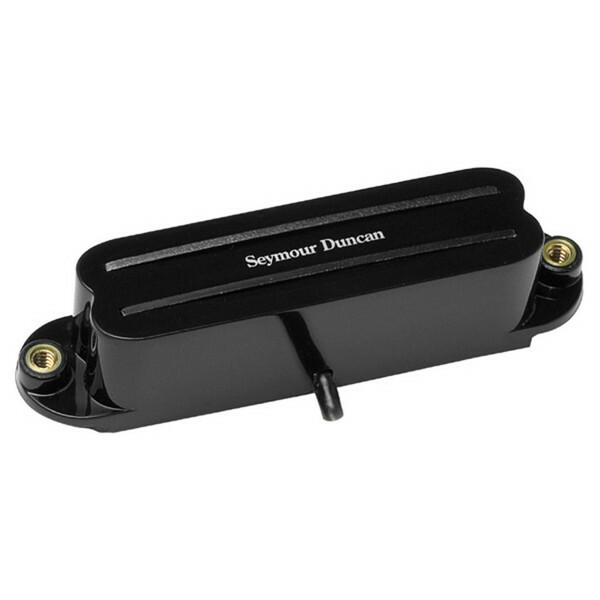 This SCR-1 bridge pickup comes in black. The SCR-1 Cool Rails Bridge Pickup For Strat, Black, is a smooth and bluesy single-coil-sized "rails" humbucker. It's recommended for blues, classic rock, jazz-rock fusion, heavy rock and aggressive instrumental rock. Players of pickups in the SCR-1 family include Glen Campbell, Davey Johnstone (Elton John), Ronnie Montrose, John Popper (Blues Traveler) and Gavin Rossdale (Bush). The Cool Rails was created by popular demand and boast the same twin coil design as their Hot Rails, but these are wound to provide a sound which is clearer, brighter, and more dynamic. The Cool Rails is hotter and louder than both the Vintage Staggered (SSL-1) Hot Stack® (STK-S2) pickups, Cool Rails are for players who need a louder, punchier, and fatter single-coil sound. Comes with four-conductor hookup cable. The SCR-1 Cool Rails is also in a neck version on Gear4music.com. This Bridge pickup works for all well-balanced instruments and works equally well with maple and rosewood fingerboards.